Although Passover is over, I still want to share some of the recipes that I made over the holiday. This way, I can keep track for next year. 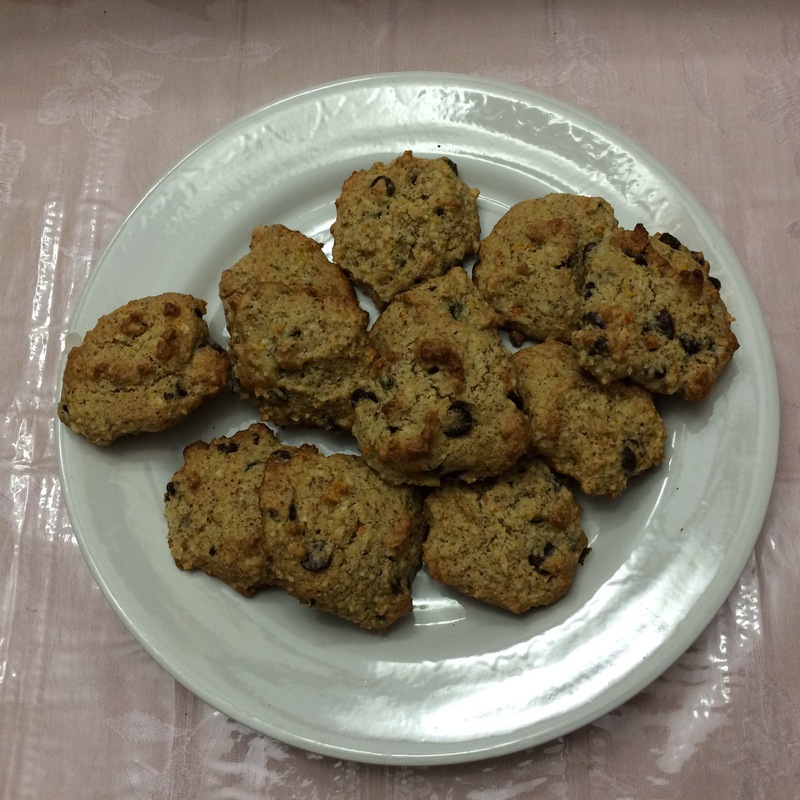 This year, for the very first time, I experimented with making kosher for Passover mandelbread with chocolate chips. I also used the dough to make drop cookies as well. 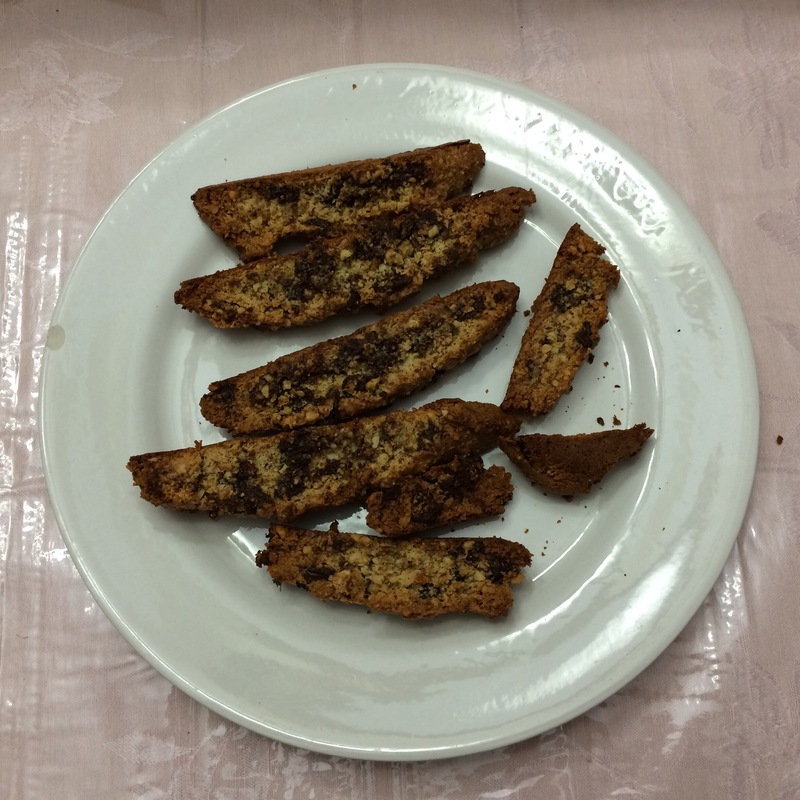 Mandelbread is a very traditional Jewish cookie similar to biscotti that I make during the year. As I have shared, one of the culinary challenges of Passover is baking desserts without sacrificing taste and texture. I usually try to stick to recipes that are specifically designed to be kosher for Passover. Especially when baking, I find that it is difficult to adapt recipes to be suitable for the holiday. For many reasons, I also avoid cooking and baking with matzah meal. I find that matzah meal makes the texture dry and tastes unpleasant. So, I wanted to make mandelbread which is non-gebrokts (without matzah meal) and also gluten free. However, I couldn’t find a recipe to accommodate my specifications. So, I broke some of my personal baking rules. I took my regular mandelbread recipe and adapted it for Passover. Instead of regular flour, I used almond flour and tapioca starch. I was not planning on initially adding the tapioca starch. But, the dough was too sticky and did not hold its shape without it. 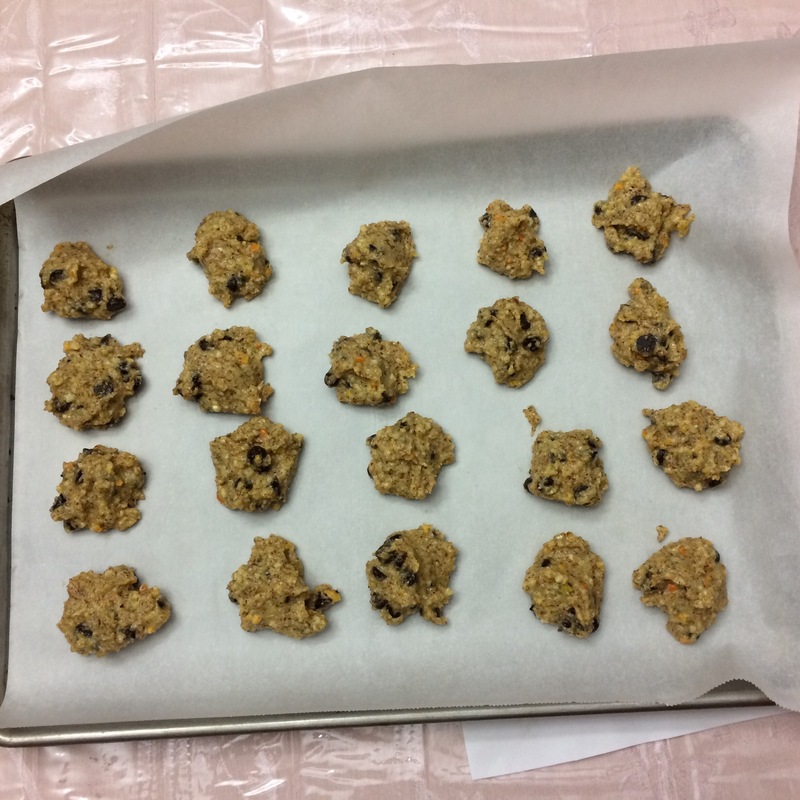 Below is the recipe of how I made the cookies this year, together with my recommendations for how to improve the recipe for next year. Recommendation: Can also make with only 1/2 cup sugar. Next time, I might use 1/4 cup of oil as nuts have a higher fat content. With less oil, tapioca starch may not be necessary. Using a food processor, pulse the whole orange until finely chopped. Add the sugar, eggs and oil and mix until smooth. Then add almond flour and baking powder and pulse until blended. 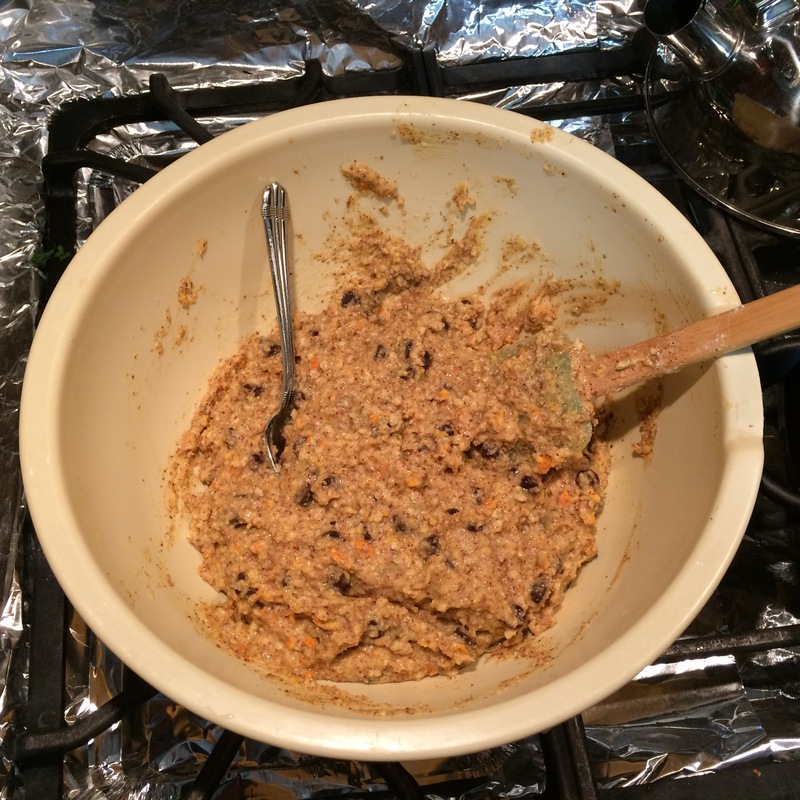 I found that the dough was too sticky, so I added the tapioca starch and chopped almonds. Stir in 9 oz. of chocolate chips. Bake in 350*F oven until lightly browned and firm to touch. Raizel loves “dot” cookies, which I rarely make. So, most of the batter was made as drop cookies. A much smaller amount was baked in a log like mandelbread. When cooked, I sliced the dough and baked them again in a 250*F oven until toasted. It actually turned out to be less time consuming to make drop cookies instead of mandelbread. And, I think the texture was better too. It may be that with almond flour, the dough is less resilient? I also think that the texture might be better if the dough is chilled prior to baking. And, they are even being eaten after Passover! Wow great job Carol! I love Raizel’s comment! If I didn’t know better, I would have assumed the cookies were regular cookies! That is the nicest thing anyone could ever say to me! Thank you! Those drop cookies look great! They came great! Thank you! Wonderful. I didn’t find the afikoman, and therefore, was unable to claim the financial reward ($1) accompanying its return to my father at the dinner table, so my investment portfolio remains underweight. 😀 I was able to enjoy the holiday, none the less! You always seem to have so much fun with your recipes. I like the way you offer advice and aren’t afraid to compliment and offer honest (less than complimentary) opinions as well. Hope you had a wonderful holiday. Thank you! I see cooking as a creative outlet. So, I try to enjoy the process, not just the outcome. Otherwise, what’s the point? Passover is a special time. I always try to remind myself: “I want Passover to go through me, not to have me go through Passover.” How was your holiday? I will be pinning this recipe for next Pesach. It looks heavenly! Thank you! It came out great. I like the orange flavor too.